In September 1954, the then-14-years-old Innocente Mapelli began working at a foundry in Milan. It was his first experience in what will later become ‘his world’. Young Mapelli thus started, as an apprentice, learning the trade and the techniques of the Lombard metallurgical tradition. 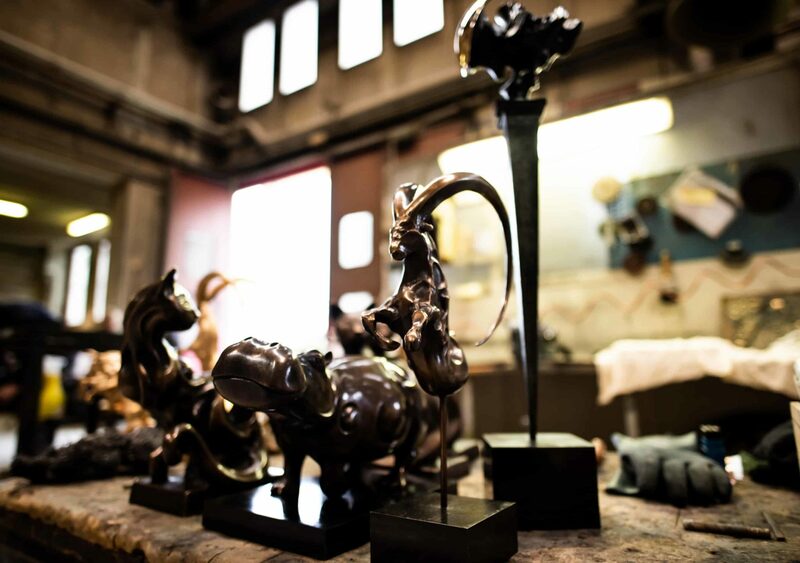 In 1967, with 13 years of experience in the sector, Mapelli decided to go solo and, in 1968, he kick-started his own company, Fonderia Aristica Mapelli (Mapelli Artistic Foundry), specialised in the production of bronze sculptures through the lost wax casting technique. Initially, the foundry did not have real premises: the wax – used to build the artworks casts – was worked at home; the cooking processes were carried in a nearby barn and the statues, ready for shipping, were stored in the garden, covered in cellophane. In the following years, thanks to the commitment and know-how shown, the number of artists, even very important ones, who appreciated Fonderia Mapelli’s work and who entrusted the translation of their artworks in bronze to the savvy hands of his founder and his brother Giuseppe – whose collaboration became indispensable as the workload grew higher – increased dramatically. The fledgling company blossomed and with it, day after day, so did the satisfaction of taking in increasingly complex and remarkable work. In 1992 the foundry moved to its present location, in the industrial area of Cesate, a centre a few kilometres away from the northern outskirts of Milan. The workshop became a real ‘art factory’ for large size statues. The site, which remains unchanged to these days, spans for 700 square metres – 1000 square metres including the outside area – with ceilings north of 11 metres high. This large space, equipped with state of the art machinery, allows working on projects of considerable size. The space is equipped with an overhead crane, a machine able to lift and move the heaviest of pieces, over the entire perimeter of the foundry; it also features programmable furnaces to ‘evaporate wax’ at pre-set temperatures, thanks to sophisticated electronic control mechanisms. Abundance of space and innovative technology go hand in hand with another point of strength of the workshop: a study area, wide and particularly bright, which is made available to the artists to mould their artwork. From the very beginning, in fact, great emphasis was put on creating a positive relationship with the artists, who can use the premises to create the prototypes, monitor all phases of work and intervene at any stage to put the necessary amendments in place in order to obtain the desired result. A passion for casting, the time in hand to perfect every individual step of the work, in order to obtain a quality product whilst taking care of the slightest of details, are the fundamental ingredients of the Mapelli ‘recipe’. These characteristics, together with the trust and collaboration-based relationship with each sculptor made this foundry much more of just another workshop. 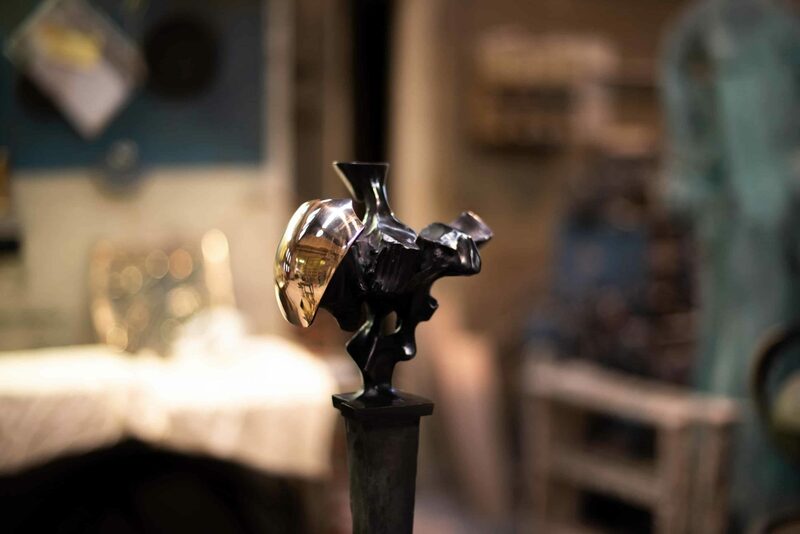 Some artists like to define it as a real ‘formation school’: in fact many collaborators, after having learnt the slow wax casting technique and gained experience at the Fonderia Artistica Mapelli, committed to replicate this model, opening up their own foundries. The strong passion that, right from the beginning, characterised the journey of Innocente Mapelli was inherited his two sons, who are today key members of the workshop team. 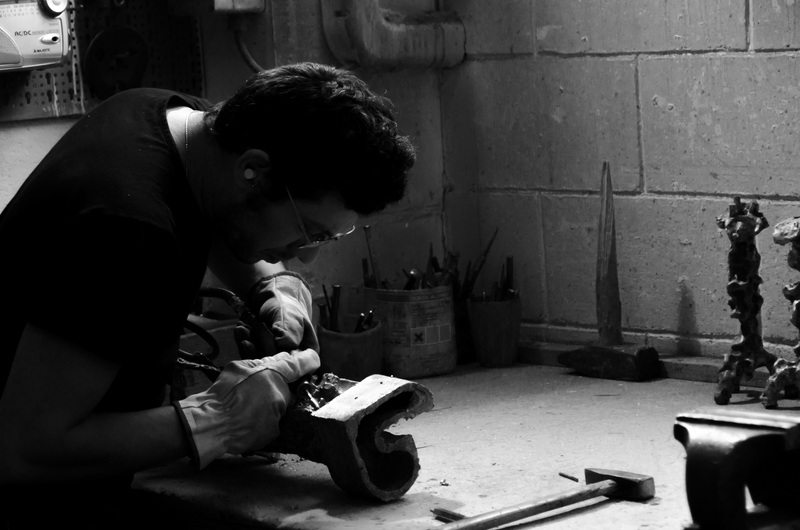 Andrea, the older son, after finishing high school, specialised in the key activities of the first part of the production process: he curates the casts, the waxes, the cooking and the melting of the artworks. Massimo, Innocente’s second, specialises in the final steps of the process: the coating, the laying and ultimately, the delivery. They, similarly to their dad, are proud to be able to state ‘I made it’, in reference to each of the artworks created in their foundry: whether they are very small statues, furnishings or designs, or imposing monuments that tower the squares of cities all over the world.